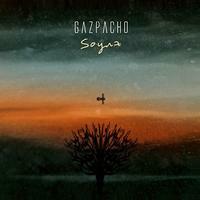 The new release from Gazpacho seems to be precisely the kind of thing their fans will enjoy. It continues and expands their brand of prog rock. These guys often seem to have as much in common with groups like Muse as they do with their more pure prog contemporaries. I suppose the most apt comparison would be to Steve Hogarth era Marillion. This has some peaks and valleys and contrasts. That said, it's often moody and landing on the mellower side of the equation. Still, that's what you expect with these guys. This starts percussively. It works outward from there in electronic ways. The vocals come over the top of this sort of musical tapestry. It evolves into sort of moody modern prog that's pretty classy. It gets more rocking further down the musical road. Coming in mellow and electronic, this shifts into some strange, but rather cool stuff that's part weird jazz and part prog. The vocals have an experimental kind of vibe to them. It gets into harder rocking, more mainstream stuff from there. This thing gets pretty powerful and intense as it goes forward, particularly considering where it started. Sound effects and textural stuff start this. Piano joins as it moves forward. A bit of a percussive element climbs into it. There is a definite classical element to this as it gets vocals added to it. This is a more sparse arrangement and quite quirky. It's also really cool and artsy. I dig the balance between the mellower and more rocking stuff here. There is some killer rocking guitar based music built into this beast. It drives forward and really rocks. There are some odd shifts and changes here. It decidedly dynamic and diverse. This isn't a huge change from the previous cut. It's moody modern progressive rock. It also has a solid balance between rocking and mellower stuff. It does have some rather powerfully impassioned vocals, though. This might be my favorite piece of the set. The keyboard and vocal section at the start is especially effective. This isn't as dynamic as some of the rest, but it is quite pretty and potent. More of a stripped back arrangement serves as the backdrop for the first part of this. It grows out into some powerfully rocking stuff before making its way to an intensified version of the earlier section. This piece keeps evolving as it drives forward, making good use of its epic (nearly 13 and a half minutes) length. The contrast between the mellower and rocking stuff is fairly stark. There is some particularly potent rock stuff here. There is a particularly moody dropped back section mid-track. It eventually builds out to some seriously rocking stuff from there. It eventually makes its way back out to a mellower movement that serves as the most cohesive section of the piece. It's the longest lived one, too. It takes it to the end. 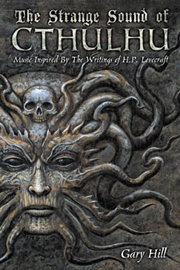 Moody and rather sparse in structure, there is a healthy helping of classical music along with the neo-prog concepts here.